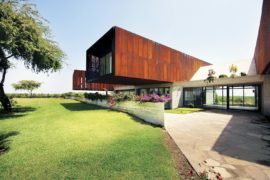 These 15 modern homes with cantilevered and overhanging volumes each have a unique physicality and definition of form. 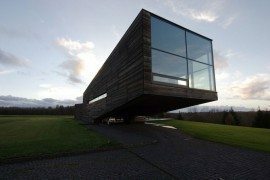 At times appearing to defy gravity, they have been imagined in a manner that respects the surrounding area and offers a heightened sense of living to their residents. 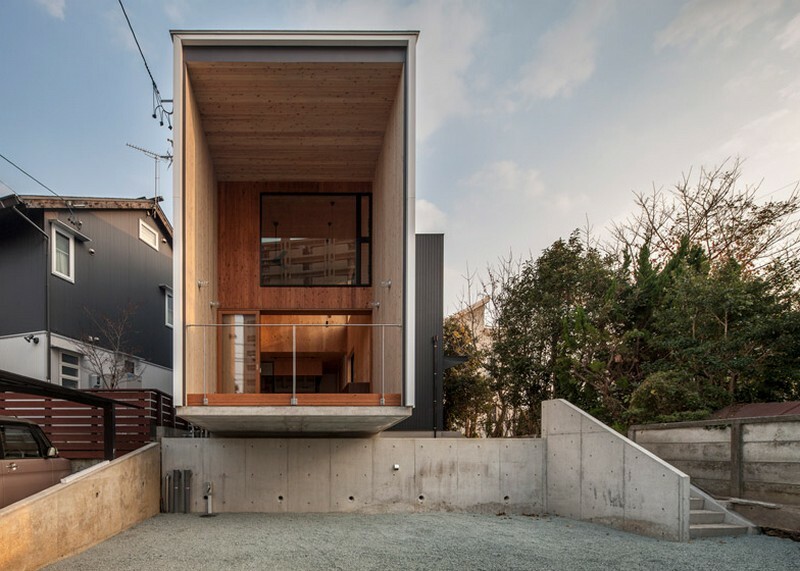 Fly Out House in Toyohashi, Japan, by architect Tatsuyuki Takag, is a cleverly constructed timber-framed home raised on a cantilevered concrete slab. 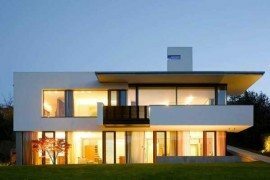 Located in a Santiago suburb at the foothills of the Andes, 10 X 10 is a remarkable family home designed by Max Núñez Arquitectos. 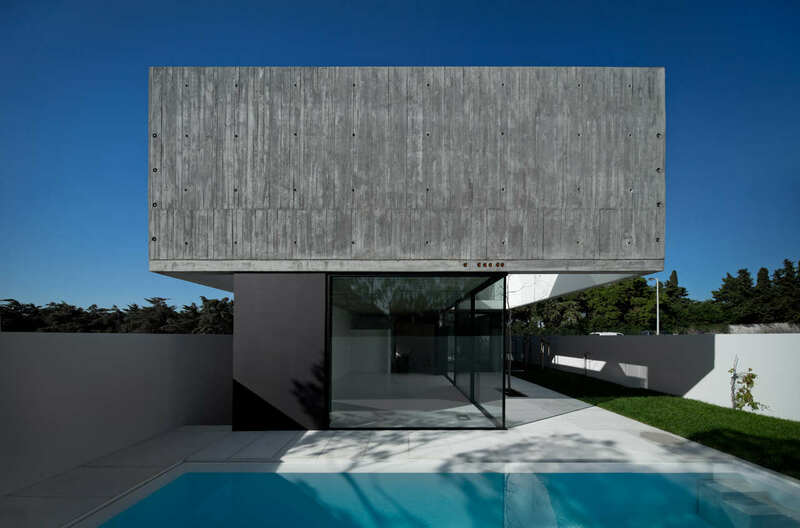 A severe concrete facade conceals a calm, well-proportioned and judicious interior. Photo © Erieta Attali via ArchDaily. Canadian studio Chevalier Morales Architectes reinterpreted the familiar Swiss chalet to design Residence Roy-Lawrence, a top-heavy cantilevered timber house. 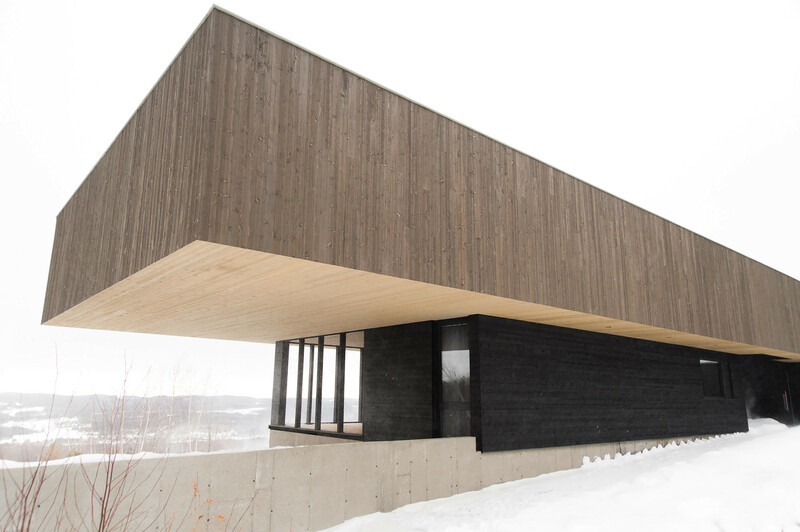 The structure melds perfectly with the mountainous terrain of eastern Quebec. 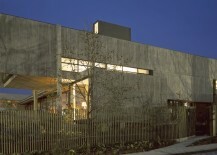 Photo courtesy of Chevalier Morales Architectes via ArchDaily. 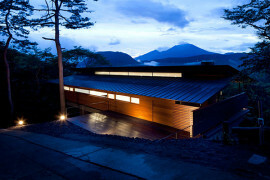 The Russet Residence in West Vancouver, British Columbia, was designed by Canadian studio Splyce Design. 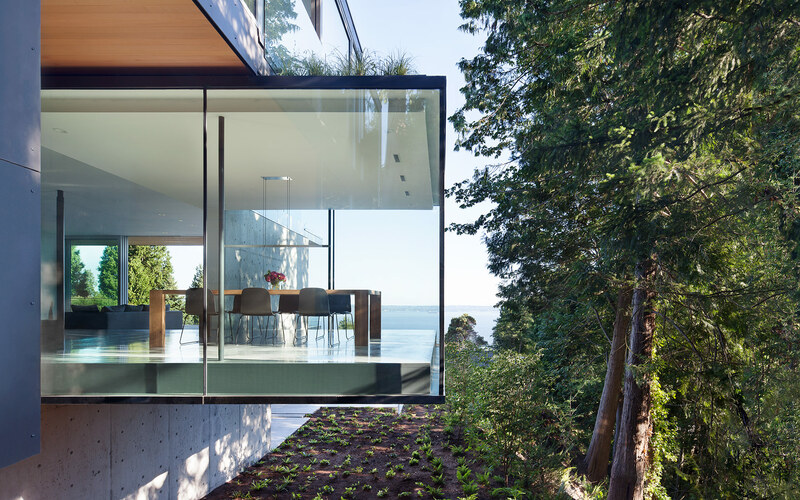 Nestled into the hillside, a meticulous dining space juts out fifteen feet, framing both the forest canopy and ocean beyond. 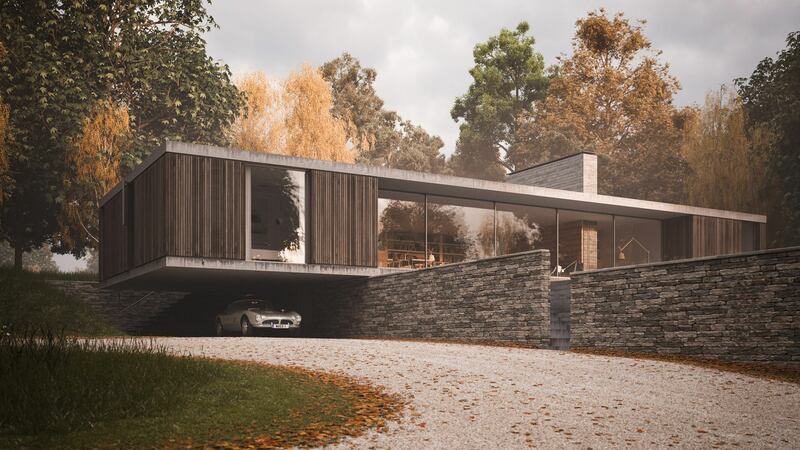 Currently under construction, The Quest is a stunning midcentury-esque single-story dwelling designed by Ström Architects for two retired clients. Sited in Swanage, UK, the cantilevered home is a nod to contemporary modernism. 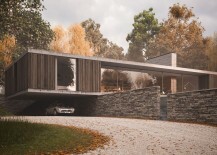 Rendered image © Ström Architects. 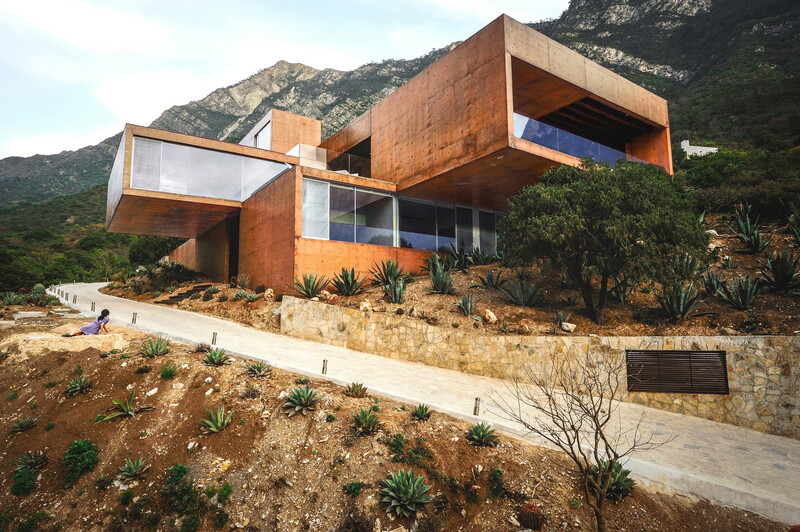 Rising above the treetops in El Jonuco, Nuevo Leon, Mexico, Narigua House is comprised of a series of overlapping and cantilevered volumes. 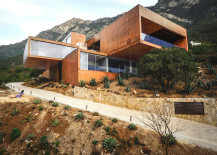 Designed by architect David Pedroza Castañeda, the home features a rustic and earthy red hue that complements the surrounding landscape. Photo © Sofia Flores Chapa via ArchDaily. 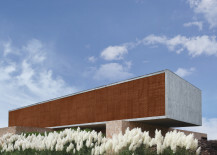 BT House in Sao Paulo, Brazil, was designed by Studio Guilherme Torres for the architect himself. 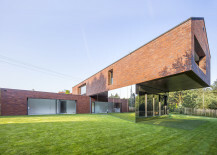 A house of blocks, one large concrete volume rests atop two two equally large brickwork slabs. 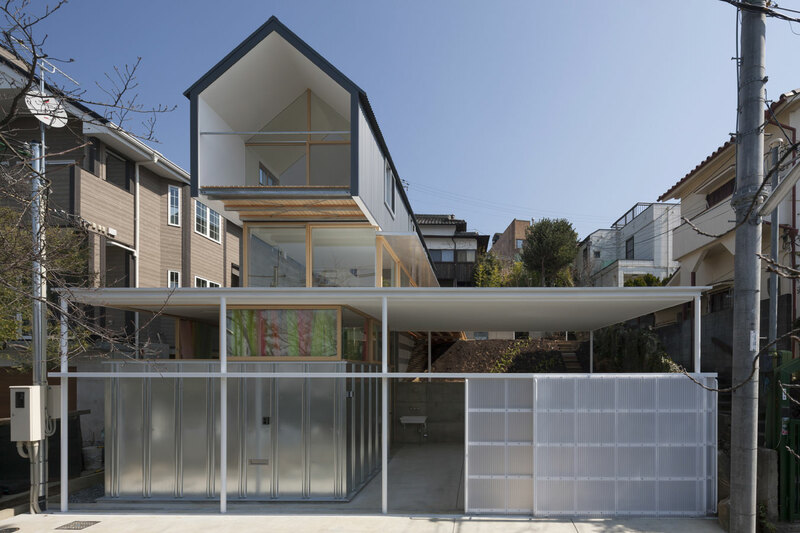 This house in Ishikiri is a somewhat unusual and cleverly chaotic three-story family home in Osaka, Japan. 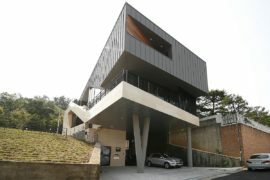 The top floor master bedroom incorporates a cantilevered balcony area. Photo by Shinkenchiku sha via Tato Architects. 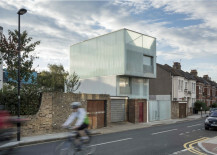 Slip House in Brixton, South London was designed by Carl Turner Architects. 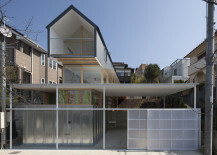 A strikingly contemporary inner city residence, the home comprises three ‘slipped’ orthogonal box forms that cantilever towards the street. Photo by Tim Crocker © 2015 Carl Turner Architects. Designed by architect Flavio Castro, Planalto Paulista is a residence in São Paulo, Brazil, whose structure is arranged across two perpendicular volumes, where the top is projecting over the bottom. 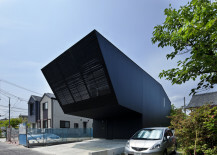 Bold and brash, the home strikes an elegant and handsome profile. Photo © Nelson Kon via ArchDaily. 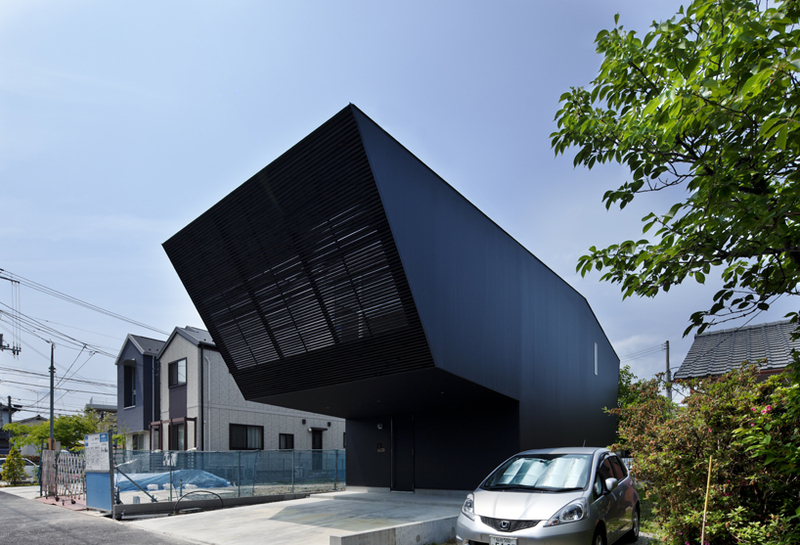 The “Lift” house in Sendai, Japan, by Apollo Architects & Associates, features a stark and protruding geometric overhang. 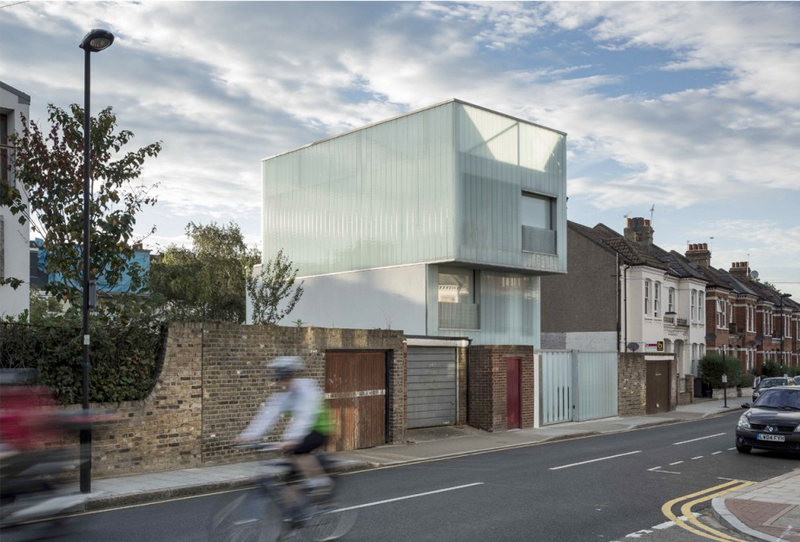 Slots in the front-facing facade allow views onto the street whilst maintaining the privacy of the home’s residents. 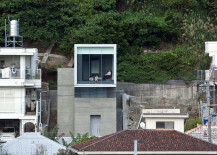 Photo courtesy of Masao Nishikawa via Designboom. 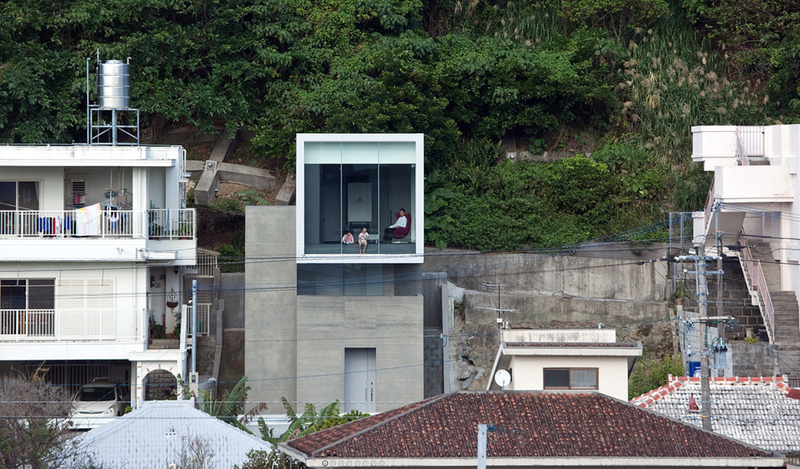 This house in Naha City, Okinawa, Japan, was designed by Matsuyama Architect and Associates. 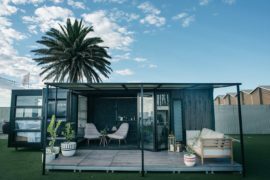 A truly modern structure whose top floor cantilevers towards the city, its form sits perfectly at odds with the surrounding urban vernacular. Photo © Matsuyama Architect and Associates. 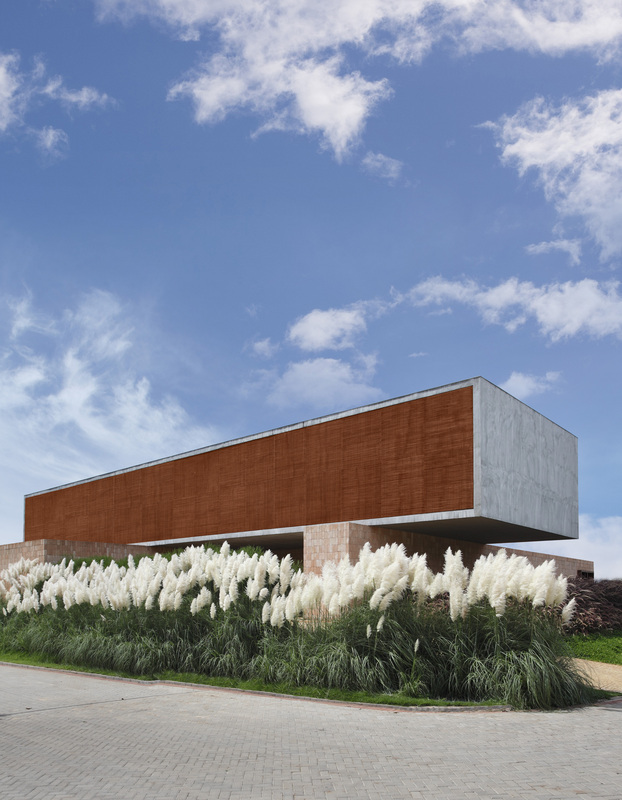 Designed by ARX Portugal + Stefano Riva, this house in Juso, Portugal is built over three floors (including an underground level). 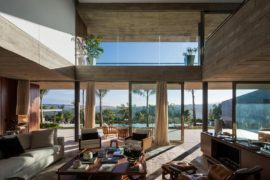 The top floor concrete enclosure accommodates the home’s private spaces and the rooftop affords views of the surrounding area, sea and nearby mountains of Sintra. 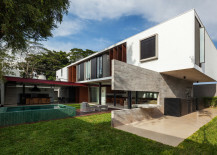 Photo © FG+SG fotografia de arquitectura; ARX Portugal via ArchDaily. 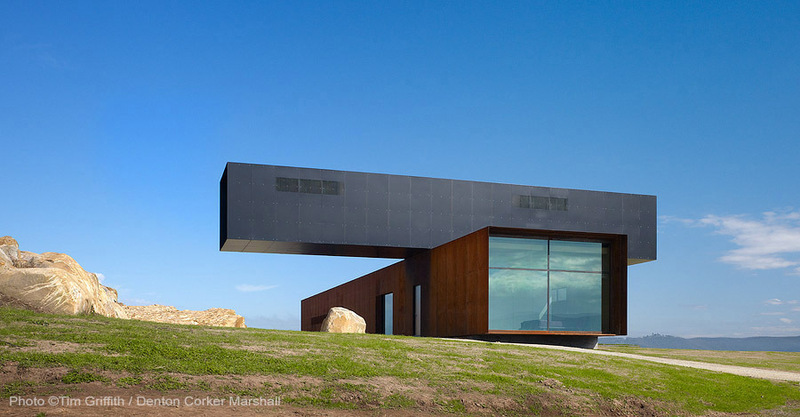 In this house by architects Denton Corker Marshall, one story is perilously balancing on top of and perpendicular to the other, providing a form that is both dramatic and distinctive. 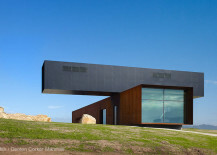 View Hill House looks across the Yarra Valley winemaking region of Victoria in south eastern Australia. Photo © Tim Griffith via Divisare. 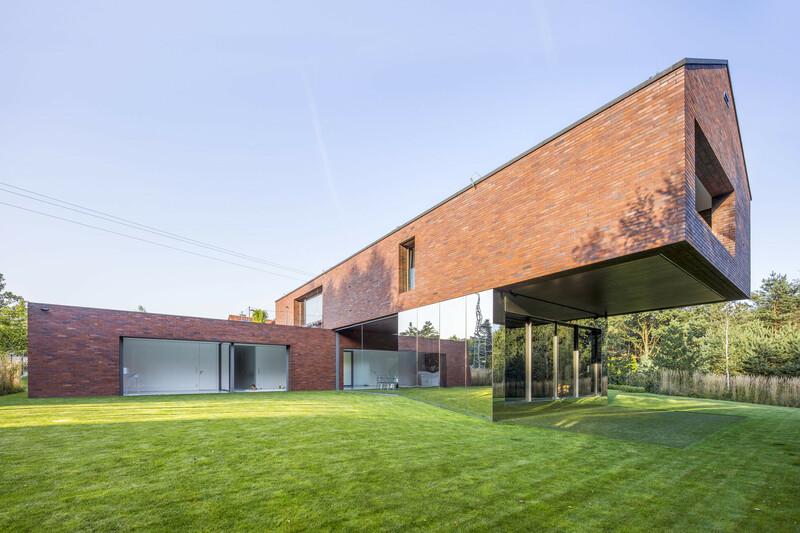 Built in Katowice, Poland and designed by KWK Promes architects, this home features a vast cantilevered ledge supported by two concrete walls. 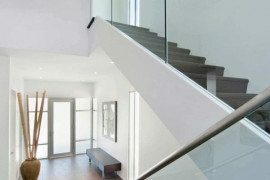 These walls are covered with mirrors, so adding a vivid impact and emphasizing the almost gravity-defying cantilever. Photo © ​Jakub Certowicz via ArchDaily.